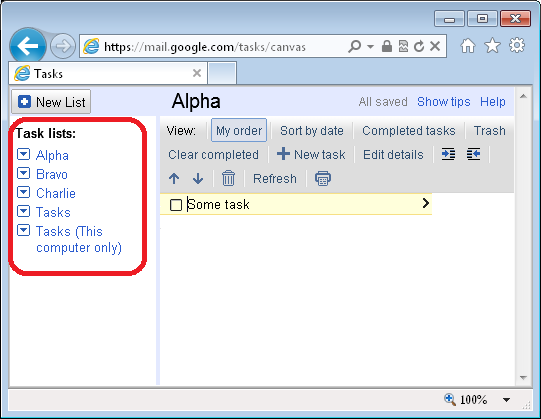 In GogTasks v6, a new synchronization mode was introduced where a Google List corresponds directly to an Outlook folder. This is called Folder mode. The other one is called Category mode and is mostly kept for backwards compatibility reasons, but there might be some of you that still will prefer to use this mode. I will explain the differences here. This mode is the most straight forward and causes the least trouble. Here, a Google List corresponds directly to an Outlook folder. 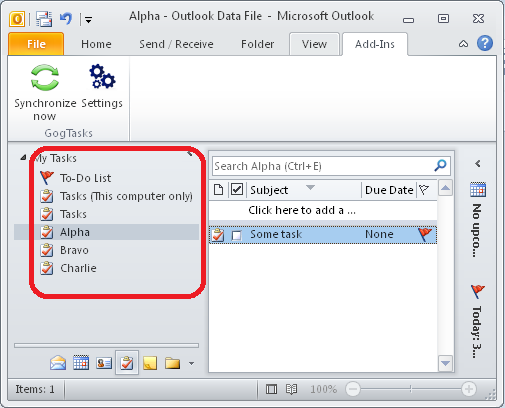 When you create a Folder in Outlook, it is created as a List at Google and vice versa. GogTasks also synchronizes deletion and renames of lists/folders. 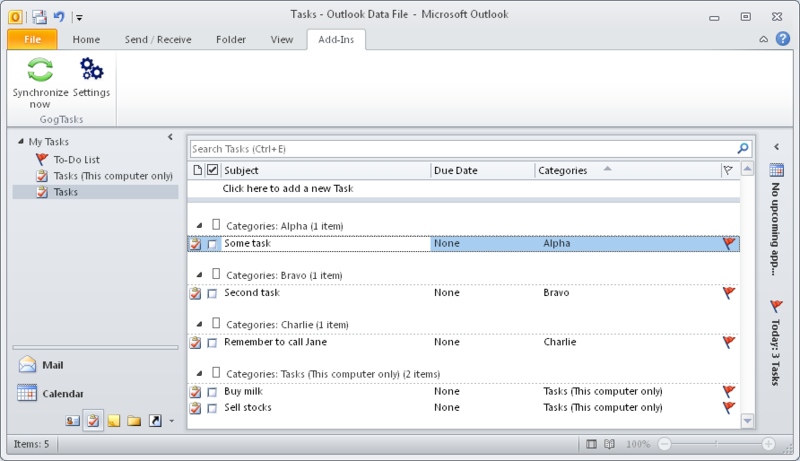 Note that the special folder "To-Do List" is an aggregateion of all non-completed tasks in folders created by Outlook. The corresponding lists at Google after a synchronization. The order of the lists may vary. In category mode a list at Google corresponds to an Outlook Category instead of Folder. 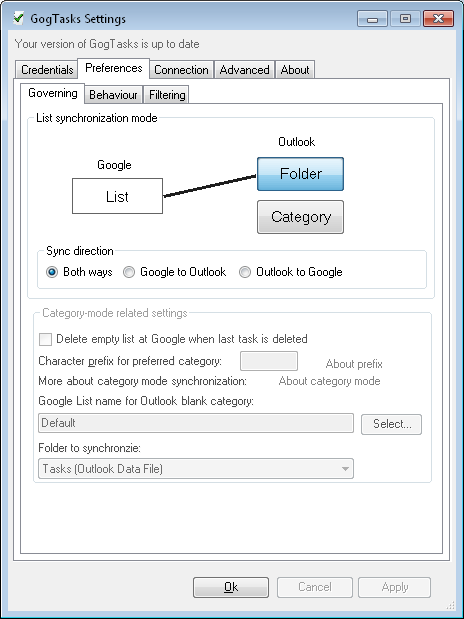 You select one single folder to contain the synchronized task from the GogTasks Settings form. See the article Introduction to categories for more details on this mode.